Shadowgate is a pretty interesting game. A graphical adventure game, players are presented with a view of a room and must click on objects in the room to interact with them. You can take the treasure, but is it booby-trapped? Will you turn to slime if you touch that water? Or will the dragon burn you alive? Success in Shadowgate requires cunning to solve puzzles, combine artifacts, and fight the evil warlock to save the world – all before your torches run out! Shadowgate was originally on the Mac and Amiga in 1987 but was later ported to the NES in 1989. It’s been many a year since I played this on my NES, but I still remember it fondly! “Title Screen” is fairly short, but has a rousing melody with a mellow square wave for the lead instrument. The piece only has two sections, each 12 seconds long each for an agonizingly short 24 seconds – which is terrible because the song deserves to be expanded. The first segment is played lower on the scale, and suggests the difficulty of the quest at hand; the second half the hope and burning devotion towards the completion of the task. Behind it all is a driving drumbeat of the warrior king heading off on his quest, inviting the player to dive right in. Sadly, like so many other games of that era, the composer is unknown. However, he worked for ICOM Simulations. The NES version was ported by Kemco. The game’s other songs are mostly about as short, and so get repetitive very quickly (not something you want in a puzzle level, but ok for getting people off the title screen and into the game). phoenixdk created a nice rock medley of several Shadowgate themes for OCRemix. Of course, the all-time best Shadowgate rock medley goes to Virt for “Warrior King“. This is some epic stuff, with a rock and string version that quickly leaps into the level themes. While I’ve heard some of Virt’s work before, this is pretty amazing and I’ll have to stick it on my iPod when I get the chance! 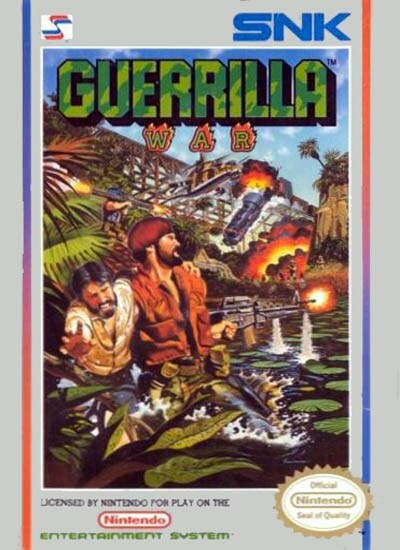 Guerrilla War was an early shooter by SNK that predates many of the ideas present in Metal Slug: prisoners to rescue, grenades and gun upgrades, tanks, and hordes and hordes of guys to shoot. There’s also an element of humor here – something you would expect considering the setting as Fidel Castro and Che Guevara’s overthrow of Cuba, making it jokingly referred to as “the Che Guevara Game”. In fact, the game was even called Che in Japan. This seems fitting, considering all the things going on in Cuba at the moment. The game was originally released in the arcades but later found its way to the NES where it took the system to the limit in terms of object display while still maintaining a smooth framerate (though suffering from LOADS of flicker). And the funniest thing? Castro’s rise to power is inevitable. It is impossible to lose the game because you can simply hit ‘Continue’ at the Game Over screen to keep fighting for liberty! Viva la Revolucion! Jake Kaufman, aka Virt, created an epic rock medley of the themes from the game for Dwelling of Duels, coming in fifth place in the November-December 2004 Duel. Part of this might be due to the game’s relative obscurity in the music scene – as well as stiff competition – but the mix isn’t bad, following Virt’s tradition of making long, epic rock medleys of classic games (particularly NES titles). There’s a nice synth break at 5:00. I suppose the game really just suffers from a soundtrack that doesn’t have many particularly memorable melodies – and the ones that are there don’t seem that inspired (notables include the Stage 1 theme (0:00), Boss theme (4:40), and end boss theme (6:20)) . 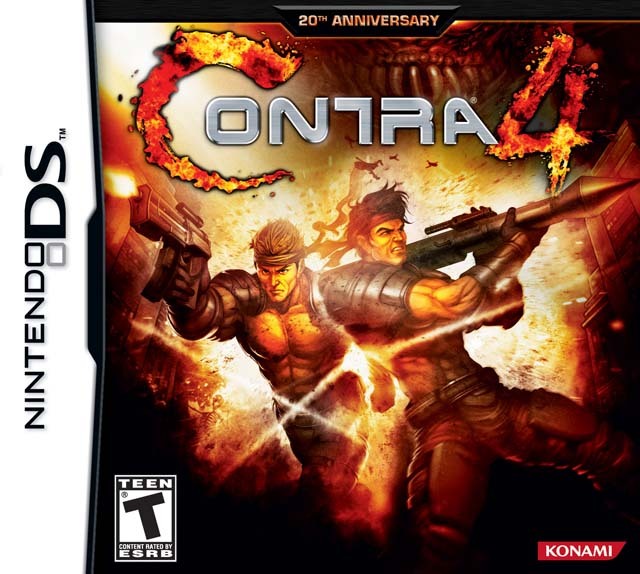 Thankfully, the game holds out with pure shooting action, which is really where it’s all at. 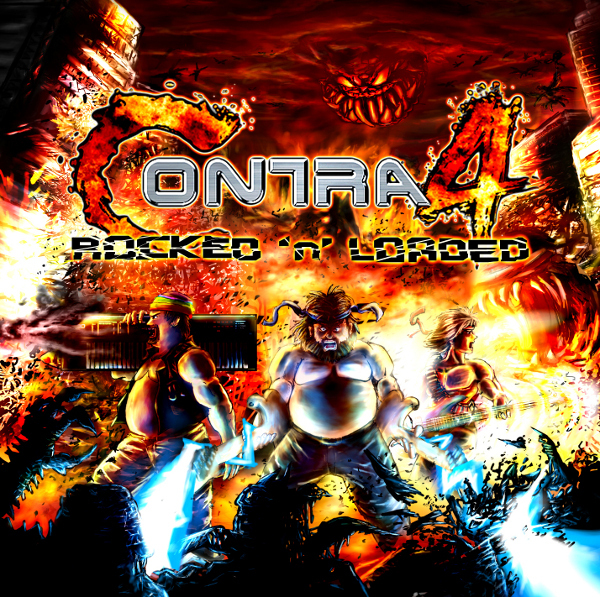 Not as good as his Contra mix, but still a fun piece. The original game, made in 1987, has no credits. The 1989 NES port has the enigmatic composer names Kenny, Oh Chan, and Tarkun. We’ll just have to label it as ‘SNK Sound Team’ for now. I feel I owe something of an update for the last Daily. Upon reflection, “Theme of Tara” really isn’t that good – it’s a pretty flat theme and actually a bit repetitive. It’s more of a fun nostalgic piece than anything else. 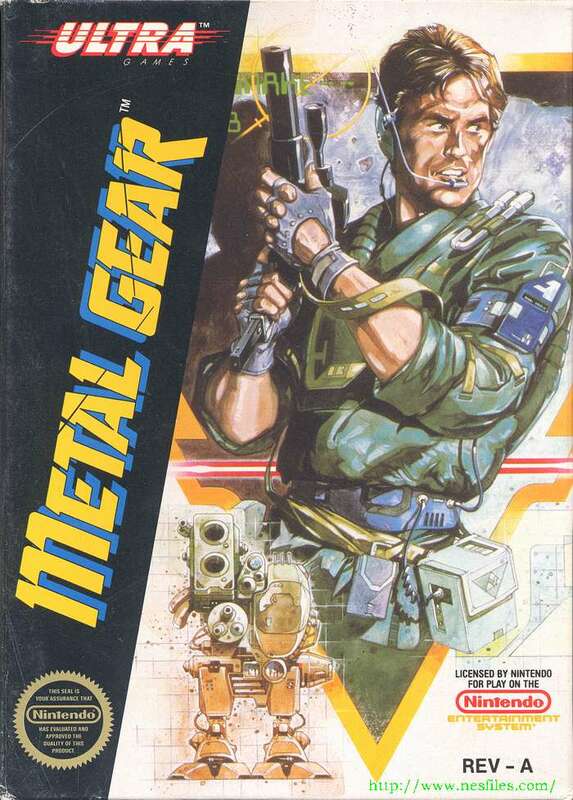 It’s kind of sad because the NES version of Metal Gear has a much better soundtrack – but isn’t considered an official part of the series as it was ported rather than designed by Kojima. In fact, the composer, Kazuki Muraoka, was later enlisted to compose nearly every other Kojima work, including the entire Metal Gear Solid series! So to show you some Metal Gear music that’s more than just a one-trick pony (even if it’s a fun trick), here’s Virt’s (aka Jake Kauffman) master medley, “My Frequency is 140.85”. What can I say? This is a fantastic medley of Metal Gear (NES) and Metal Gear Solid. It begins with a wonderfully atmospheric Peter Gunn rendition of the main sneaking theme from Metal Gear. The nice interplay of guitar and strings gives a sense of both seriousness and intrigue. From there it moves onto the main section, which is presented more as a one-man military march that really kicks off at about 0:50. Virt uses a Schecter 007 guitar for that awesome sound. As you can see, the “Main Theme” has a much better build than “Theme of Tara”, along with a far more developed and dynamic composition. It’s a damn shame this track did not appear in Super Smash Bros. Brawl. At the end of this section (1:28 ) you can hear the sound of a truck starting. Snake has just snuck into the back of a truck and been transported to the base! The “Base” theme is another great tune from the NES Metal Gear. It’s simpler, but gives a sense of the concrete interior space full of crates, trucks, and soldiers with Sneaking around. The “Alert” theme at about 3:10 (I’m just pulling names out as there doesn’t seem to be an official track list) isn’t one of the better tunes – it is shorter and simplistic, used mainly to spur the player to escape and avoid the enemy. Finally, we have the “Metal Gear Solid Main Theme” from Metal Gear Solid (4:10), which is the most popular Metal Gear song. 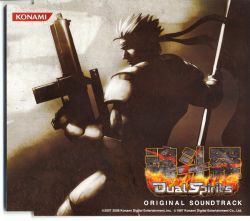 The strings give a sense of the loneliness and determination of Snake on his mission to save the world while the guitar highlights the combat. This is a pretty good rendition of the theme, but there are better and more developed ones on the Metal Gear Solid 2: Sons of Liberty album as well as Video Games Live, but I think the synth strings here combined with the guitar give it a unique sound. Still, the entire medley is a rocking good time, and was for awhile the highest-rated track on VGMix X. It’s also the best rendition of the NES Metal Gear theme out there. Ok, so Mondays are normally 8-bit Mondays, but this week, 8-bit Monday is an 8-bit Tuesday. The reason is I stopped at Chicago Midway Airport on the way back home from Boston and tracked down the House of Blues, which has some really awesome statues of the Blues Brothers (one dancing, the other sitting). The Blues Brothers happens to be my favorite film (which is saying quite a bit! ), so this has been one pilgrimage spot on my list for awhile. I replaced my old, beat-up Blues Brothers T with a brand new one and got my picture taken with the statues. After meeting some of my old friends and seeing the BB statues, I think I can die a happy man now (at least until tomorrow). Anyway, what does the Blues Brothers and a trip home have to do with this Daily? Well, “Get on the Bus” is a medley of the photo shoot, city, and bus themes from EarthBound (aka Mother 2, 1992), along with most of the songs played by the Runaway Five, the game’s nod to the Blues Brothers. The band’s leaders, Lucky and Gorgeous, even resemble Jake and Ellwood a little, though this time the entire band is dressed in black (they also have mustaches, giving similarities to Mario and Luigi). Interesting is that they are known as the “Tonzura Brothers” in Japan (means “The Escaping Brothers”). This group of R&B musicians manages to spend away all their money and get locked in a contract at wherever their last gig was. Ness and his friends save the day by paying off their debt and the band gets on a bus and drives through the ghost-infected tunnel, driving the evil spirits away with their blues beat! It’s a pretty slick beat, capturing the feel of the city as well as that ‘get up and go’ of dancing and travel, two of the Blues Brothers’ hallmarks. The synths are fantastic, with a lot of spirit behind them, and the arrangement is also well done with excellent transitions and a moving rhythm. Jake and Ellwood would be proud! Anyway, here’s some cool fanart from that scene: Read the rest of this entry ?